This practical and stylish coat was made within a fair trade environment based in Vietnam and is designed to protect you in hostile weather. The pullover uses nylon ripstop from a recycled source and comes bluesign approved. Every last part of this torrentshell pullover is coated in a durable water repellent that keeps it from harbouring water and helps it dry quickly after being in rainy conditions. The hood comes with a laminated visor and an roll down or be stored away securely when not in use. The neck of the pullover is lined with micro-fleece for comfort and the front zip features a zipper-garage at the top that makes space between it and your chin – avoiding skin irritation. The Patagonia Men's Pull Over Torrentshell - Tasmanian Teal product ethics are indicated below. To learn more about these product ethics and to see related products, follow the links below. There are currently no questions to display about Patagonia Men's Pull Over Torrentshell - Tasmanian Teal. 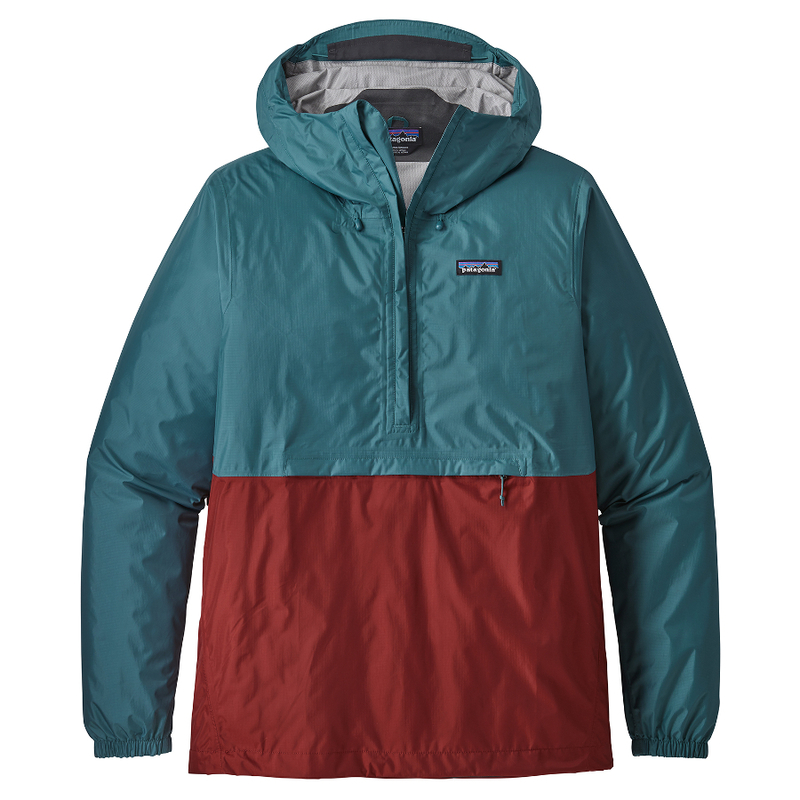 At Patagonia their own values reflect those of the business started by climbers and surfers, they deliver a minimalist style portraying simplicity and utility. The criteria for all their products rests on function, repair ability and durability. Constructing garments to the best possible quality using only organic and recycled fabrics, meaning they will stay in use, thus having the best product for saving the planet. Patagonia are very conscious of environmental sustainability which is why they donate 1% of all sales to environmental organisations around the world as well as donating their time to help.